Finding new ways to engage supporters is vital – and if handled properly, VR offers the opportunity to increase empathy and bring donors much closer to the cause they are helping. Is it just a passing fad? Is the cost worth it? We think yes, it’s worth it, to show supporters things they normally wouldn’t get to see. 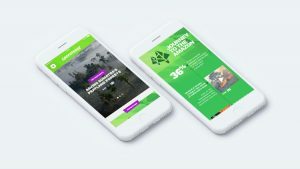 The app, which is called Virtual Explorer, features 360-degree films of endangered areas where Greenpeace is campaigning, including the Amazon and Arctic. To watch, you simply download the free app and use Google Cardboard or other VR goggles. Greenpeace has produced a bespoke, rainforest-themed VR Google Cardboard headset from recycled materials, which the user can view the 360-degree films on and is available to buy from them. Viewers can also watch the films using other Google Cardboard certified headsets, or via their phone without wearing one. Virtual Explorer is available now for both iPhone and Android phones. It will be interesting to see how the technology develops over the next few years but, in the meantime, there are learnings we can take from it right now and it clearly pays to make the donors feel part of the story.